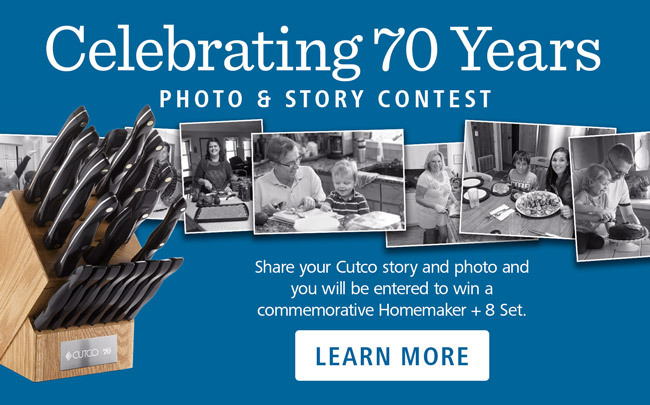 $106 A smaller version of Cutcos 9" Carver. 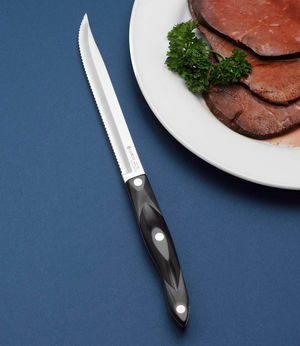 Use this knife to carve thin, smooth, even slices of smaller meats like chicken, steak or ham. 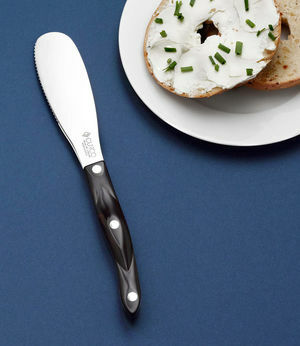 Also use to slice larger fruits and vegetables like cantaloupe and eggplant. Combine with Turning Fork for a small carving set. 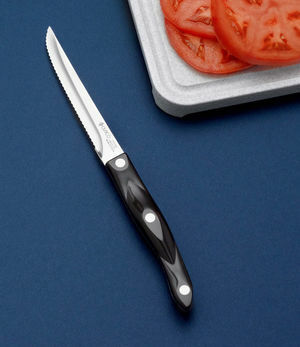 $76 A Santoku version of Cutcos utility knife. 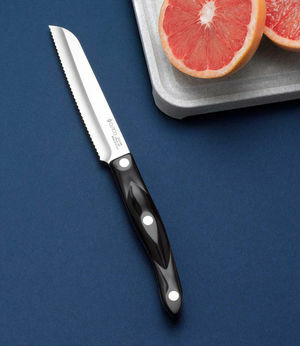 This knife is designed to slice fruits and vegetables like tomatoes and cucumbers and section citrus like grapefruit and oranges. Trim excess fat and use tip for boning rib roasts, steak and fish. 4-7/8" Double-D®-edge blade.